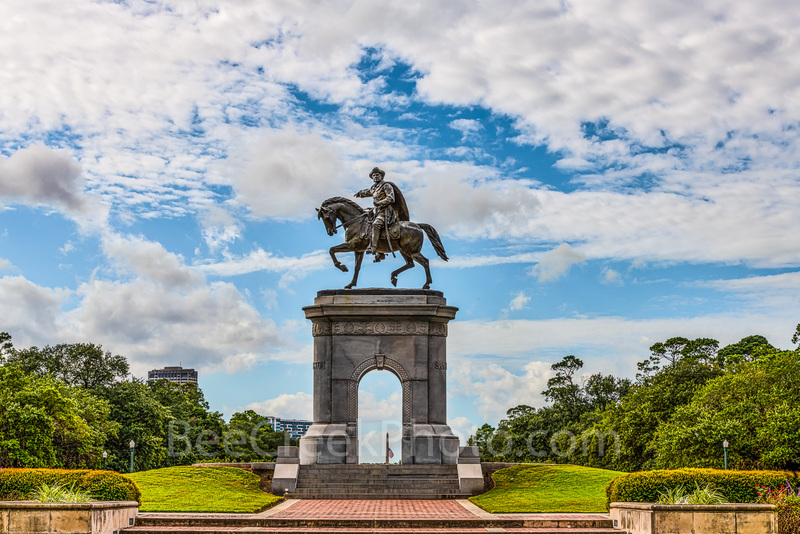 Sam Houston Monument Hermann Park - Sam Houston Monument whcih sits at the entrance to Hermann Park in downtown Houston. Sam Houston is sitting on top of his horse Saracen. This is bronze statue was sculpted by Enrico Filiberto Cerrachio and has been sitting at Montross and Main since 1925. The arch it sits on was made out of a hugh granite slab and was sculpted by artist Frank Teich. This monument is one of the many Houston landmarks in the city. Photo © copyright by Bee Creek Photography - Tod Grubbs / Cynthia Hestand.